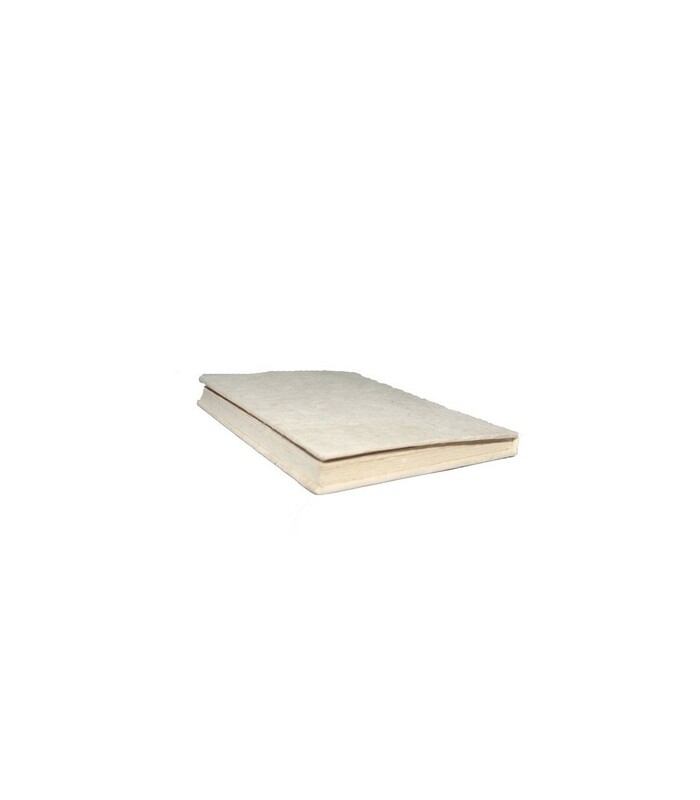 This note book has been made from Nepali paper (Lokta Paper). 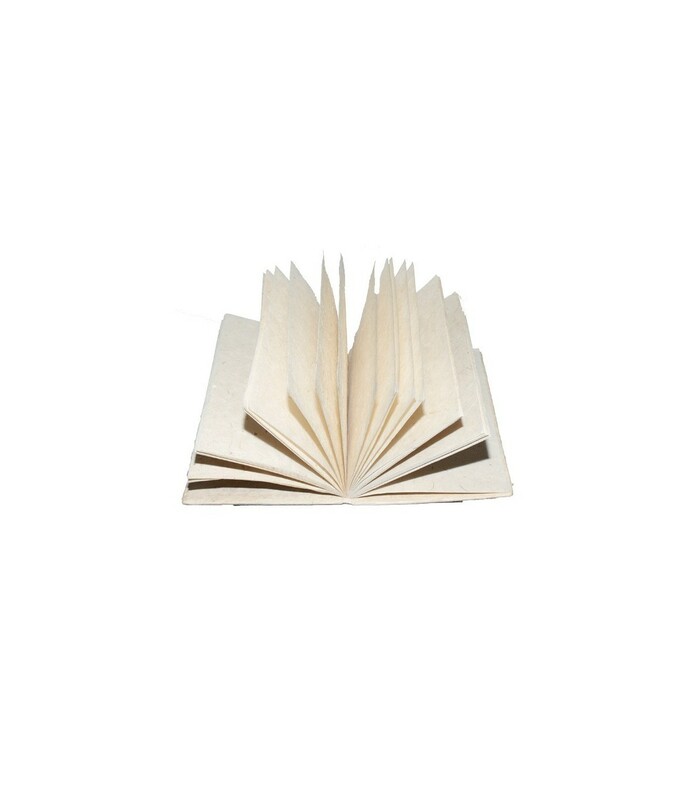 Each page has a surface area of 48 square inches and a total page thickness of half an inch. 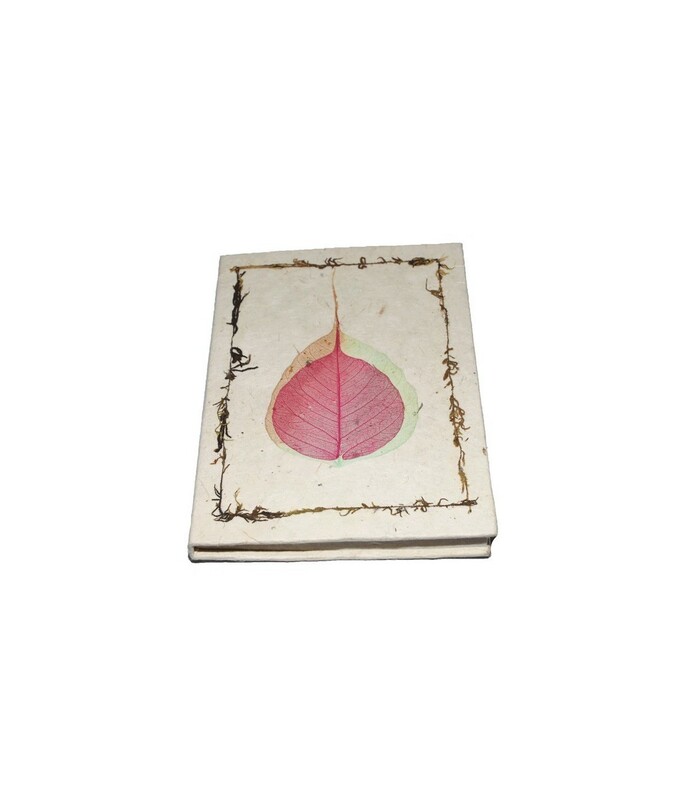 It comes with a cream coloured hard cover with a single leaf on the front and a rough brown line of hair in a rectangular shape at the edges.